"Everyone always asks me “So why can’t I do the All Buttons In trick on your FG-116s?”. As many of you already know, the All Buttons trick on the classic FET compressors puts the compressor into a whacky state of extreme over compression that can sound super insane on things like drum room mics. I’ve always enjoyed the sound, but felt that it could be sooo much more useful with a few key mods. 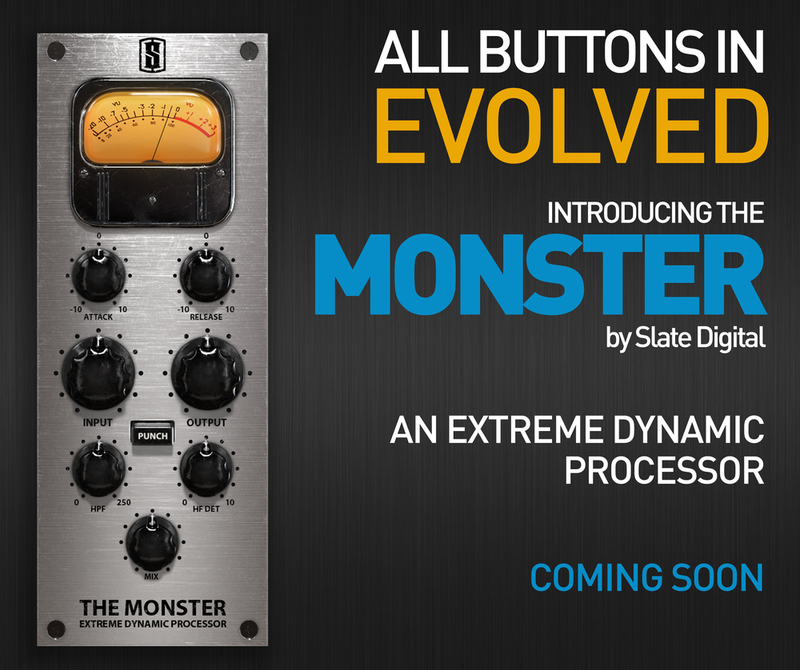 And so that’s what we’ve done with the Monster Extreme Dynamic Processor. The Monster can sound like the classic All Buttons, but for those of you who wished you could tame a bit of the top end (which can make cymbals pretty harsh depending on the track), we added a High Frequency side chain into the detector, so you can make the over-the-top effect super slick and smooth in the top end! It really sounds great! Then I thought, wouldn’t it be cool if we could get the insane compression tone but have a bit more transient definition? So we added a button called PUNCH which does just that! Next, we added a Hi Pass side chain filter which will make the kick drum in your room mics sound so massive you’ll have to duck and cover! And finally, we have a parallel mix knob so you can easily blend this explosive tone with the dry signal to make it much more versatile and useful! The MONSTER will be available quite soon, and we expect it to go to beta in about two weeks. Oh… and it’s going to be FREE. For everybody. Who loves me??? :)"
So a new compressor coming from Slate that's going to be free, what's not to like?